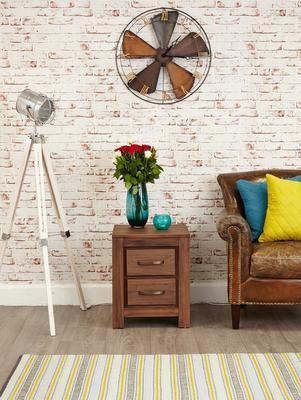 Register for a first order discount to buy this for just £198.55, saving £10.45. 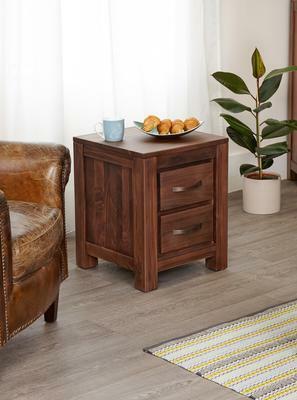 Charming and functional, the Mayan Walnut Two Drawer Lamp Table offers a beautiful aesthetic to match any modern or traditional space. It's constructed from high quality solid walnut so it's guaranteed to be durable and long lasting. The beautiful thing about walnut is that it features a dense grain that looks amazing when transformed into a furniture. This particular piece comes with a rectangular shape including a smooth top surface that can hold various items like a lamp, sculpture or other pieces. 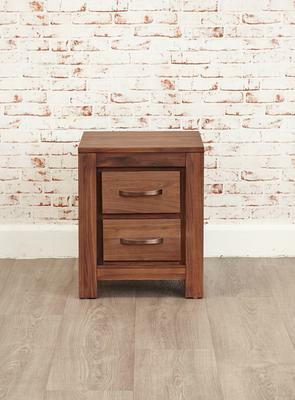 At the front are two drawers ideal for storing small items. Use this as sofa end tables or as bedsides, they're compact and highly useful.